The writer may be talking about a teen who can’t stay in a conversation for more than a minute because as soon as she hears that Ping! on her phone, she’s off and running. Or it could be that a parent is asking out for help because his six year old flies into a rage whenever Daddy says it time to turn off the iPad. 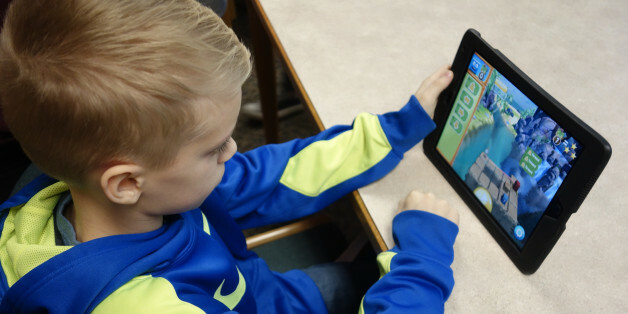 How do we help our kids enjoy the wonderful fun and social connectivity offered by their devices without losing their ability to hit the “Off” switch? It isn’t easy to figure this out for our kids — or ourselves. Few among us don’t have our own love affair with our digital devices. We stay connected with loved ones, stay up to date with the news, and work out carpool schedules with a few clicks. But we are in uncharted territory, and nowhere is that more evident than in parenting in the digital age. How should we handle our child’s insistence that he has to be on his computer to do his homework when we know he’s also listening to music and keeping tabs on his friends. What should we do about a daughter who insists that the only time she’s happy is when she’s online, or a son who claims his only friends are the ones he plays online games with — kids he’s never actually met. I’d be a fool if I suggested that there was a one-size-fits-all approach to such a complex issue. But there are a few things I have found to be true. Many children turn to their devices because it’s the only game in town. While it’s true that our 15-year-old may roll her eyes at us if we suggest a game of Monopoly, I can’t count the number of times that kids have privately confessed to me to me that their parents are always busy. Youngsters who feel liked and enjoyed on a regular basis by parents who seek their company (not to remind them about homework but simply to hang out) are far more willing to unplug. Whether you concoct a new dessert together or challenge your son to a Connect Four championship, make time for real-world activities with your kids and they’ll be more willing to cooperate when it’s time to unplug. Some kids complain of intolerable boredom when we suggest they turn off their screens. Others are afraid of what might be said behind their back on social media if they go offline. Encourage your kids to share their objections when you suggest that they engage with the 3D world, and then listen, without scolding, shaming, or giving unwanted advice. Don’t be afraid of their upset. I wish parents were less fearful of their children. Yes, your kids may pitch a fit if you tell them that six hours of non-stop video gaming is not an option, but children are comforted by parents who are willing to hold a line. Make peace with the likelihood that your children will sometimes be unhappy with your decisions. It’s okay if they think you’re the meanest mom who ever lived. Be kind and acknowledge their frustration, but don’t be afraid to set limits. It’s all well and good to suggest that our kids go play outside. But how easy is it for you to resist the urge to check in one last time at work, or take a quick look at what your pals are up to on Facebook? If you spend hours every night in front of your screen, or interrupt conversations with your kids when you get a text message, your kids aren’t going to take you very seriously when you extol the virtues of the 3D world. Take a walk, pick up a book, or plunk yourself down in front of the piano. When your kids see you having the kind of fun that doesn’t require a plug or a battery, they’ll be more inclined to follow suit. We have much to learn about how to help our children develop healthy habits around technology. On February 15th I held a Webinar called “Screen Time: How much is too much?” which explores this topic in depth with Dr. Victoria Dunckley, author of “Reset Your Child’s Brain.’’). Access the Replay by clicking here. To learn more about her online parenting courses, classes and personal coaching, visit her Facebook page or sign up for her free newsletter.